Mozilla Firefox 55.0 was released earlier today. The new release features WebVR support, faster start time, updated address bar and more. Option to enable Hardware VP9 acceleration on Windows 10 Anniversary Edition. Significantly faster startup times when restoring lots of tabs. Search with any installed one-click search engine directly from address bar. 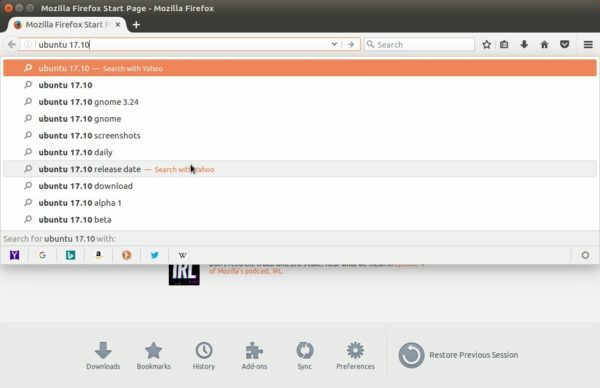 Although Mozilla website offers non-install version Linux binaries, the best way to get the latest Firefox in Ubuntu is using Software Updater to upgrade it through Ubuntu main (security & updates) repository. NOTE that there will some delay for the new release being published in main repositories, check the build page. The security and updates repositories are enabled by default. 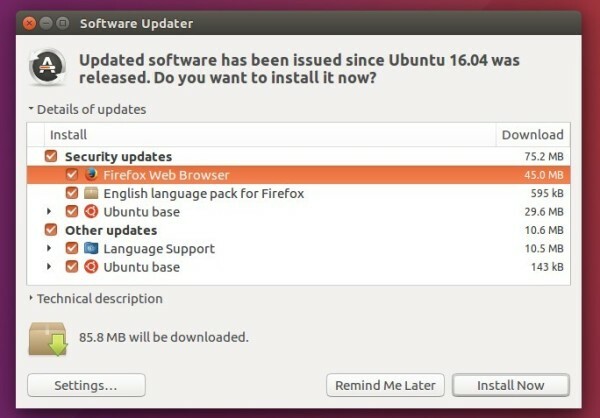 If you don’t see the Firefox updates even after Ubuntu published it in these repositories, check out the Updates tab in Software & Updates utility. Canonical updates every new Firefox release for current support Ubuntu editions. Be patient, there must be a reason Canonical delays the update.